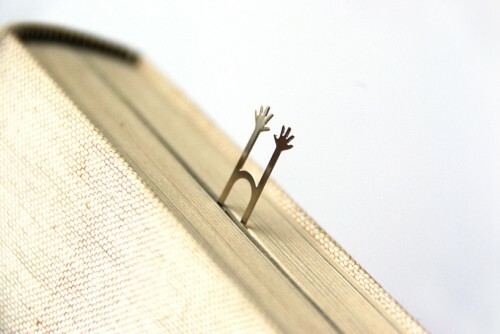 Help Bookmark Looks Like Tiny People Trapped In Your Book | OhGizmo! By David Ponce on 02/03/12 • Leave a comment! 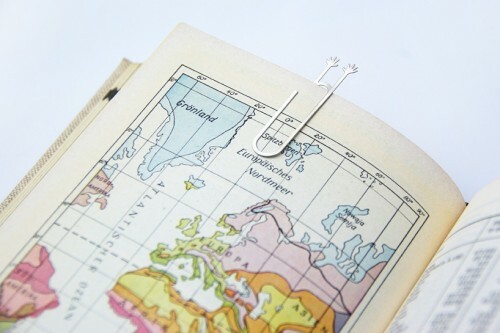 These stainless steel paperclips are bookmarks that look like little people stuck between the pages of whatever you’re reading. They’re also expensive at $19 for a set of 5. Still, could make a cool gift for someone.